Meghan Talarowski is the founder and director of Studio Ludo, a non-profit research, design and advocacy company in Philadelphia, USA. Ahead of next week’s Child in the City international seminar on children’s play in the urban environment, where she will speak, Adrian Voce interviewed her about what motivates her work in children’s play, and what the audience in London can expect. Meghan, why do you think children’s play is an important issue for modern cities? For the first time in history, more people live in cities than elsewhere, and that trend will only continue to rise. As more people compete for finite public space resources, we must advocate for the role of play in creating happier, healthier urban communities. Play is not a priority in our success driven society. We eschew recess over results. Perceptions over the importance of play must change. We need to reset our value system, unbusy ourselves, and allow time and space for play. What is the theme of your presentation at the event? I studied the play behaviours of over 18,000 people in 16 London playgrounds and compared them to US playgrounds in 3 major cities. I found that the better designed, more naturalistic, and riskier playgrounds in London were vastly more popular and more active than the post and platform, rubber surfaced spaces we create in the United States. Additionally, the London playgrounds were cheaper and had less injuries. We spend astronomical sums on playgrounds in the United States, in the pursuit of “good, clean, safe” fun. We have succeeded in reducing our injury and death rate in playgrounds significantly over the years, but recently have seen an alarming trend in the opposite direction. I believe that play in the United States has reached “peak safety”. We have created a nation of homogenously safe and insidiously boring spaces that either: 1) invite children to play in unintended ways, falling on surfaces that are too expensive to maintain and have thus lost their protective value, or 2) have eliminated risk to the point that children are now too weak to play effectively without injuring themselves. 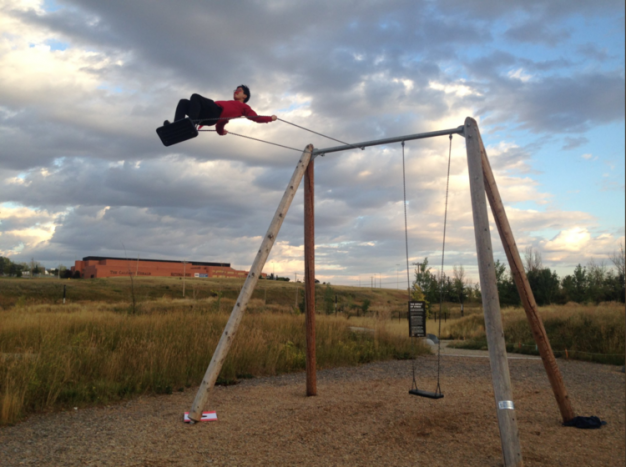 As we look to the future of playgrounds in the United States, do we want to continue the trend of dumbed down, too safe play or are we willing to challenge our assumptions about danger and risk, in order to give our children opportunities to grow? 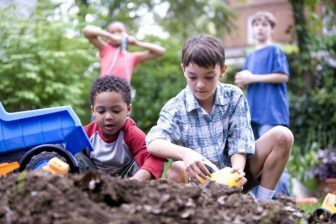 What do you think local and citywide government should do in response to children’s need for space to play? We must align United States playground safety standards to the European standards. They are less restrictive, and yet have a lower injury rate than the United States. Additionally, we must adopt a ‘Declaration on the Benefits of Risk in Play’ in cities across the United States, or best case scenario, at the Federal level. We also need to make our cities more playful everywhere, not just in playgrounds. Bus stops, sidewalks, vacant lots…all should have invitations to play for all ages, to positively impact our citizens social, physical and mental health throughout life. What are the current challenges for practitioners and advocates for children’s play and child friendly cities? Most United States cities do not have a vision towards being child and family friendly. Designing for children means designing places for everyone: safer, happier and more comfortable for all. If a city adopts this vision, all departments should follow. Currently, there is a lot of fear related to city government decision making. With this unified vision, every department could develop concrete plans within their organization to align and frankly discuss the issues related to the vision, rather than have the onus be on the general public or designers to align from outside. Open dialogue and vision are the only way to push for play friendly cities. 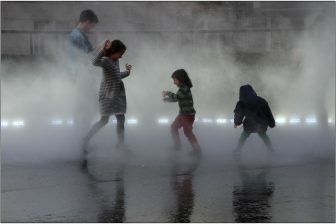 What do you think are the gaps, if any, in the research about children’ s play in the urban environment? Once we build places to play, what do people actually do in them? What do they want, how do they behave, what are the attracted to, what do they avoid? Direct observation is a powerful tool in understanding social behaviors. This information is critical for helping designers and policymakers understand the play needs of citizens within their community, and yet there are very few studies of these types of behaviors. We know more about the behaviors of most animal species than we do about our own children in the urban wild! What are your hopes for the Child in the City event in London? I’m really looking forward to connecting with like minded professionals and building research relationships across the globe. 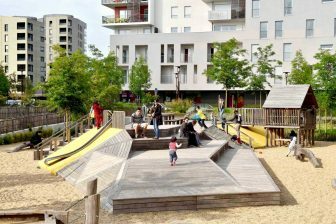 Meghan Talarowski’s presentation, More Popular, More Active, Less Injury, Less Cost: How London Playgrounds Are Getting It Right, will be part of parallel session one at Child in the City, London on 6 November 2017.